Karolien van Eck (The Netherlands, 1967) is a sworn, certified Portuguese to Dutch and Dutch to Portuguese translator and interpreter. 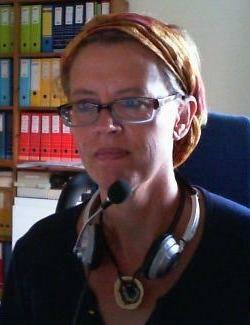 She holds a master’s degree in translation from the University of Utrecht in the Netherlands, and specialises in legal translation. She has more than 15 years’ experience as a freelance translator and interpreter, and is co-author of the Dutch-Portuguese and Portuguese-Dutch dictionaries published by the Uil-OTS Linguistic Institute of the University of Utrecht in the Netherlands, and by Editorial Verbo in Portugal. Happy customers? Why should I care, and what’s in it for me? In this rather competitive business of ours, we have to do our best to find our “place in the sun”; It’s not easy to run your own business, publicise services, find clients, arrange jobs, provide high-quality services, and, most important of all, keep customers happy. And then we also have to deal with erratic work flow and income: the list goes on and on! In this presentation, I will go into some aspects of the challenges faced by freelance translators every day, and share some tips and good practices that have proven to be helpful to me over the years.